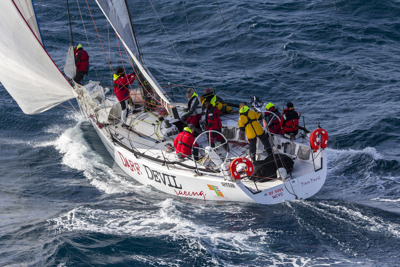 Finished last year’s Rolex Sydney Hobart Yacht Race 57th overall – and eighth in Division 2 of ORCi – after disappointment the previous two years which resulted in two rudder-related retirements. With a great depth of experience onboard built throughout the last few years racing, the team knows the boat well and wants to see it perform. “We hope that the experience of the crew and their time on board will really shine this year, bringing us the results we are after.” explains Ilzhofer. This year, Todd Sergeant from radio station 2NURFM will be joining the crew to experience the blue water journey and document Dare Devil’s entire journey to the start line and beyond.